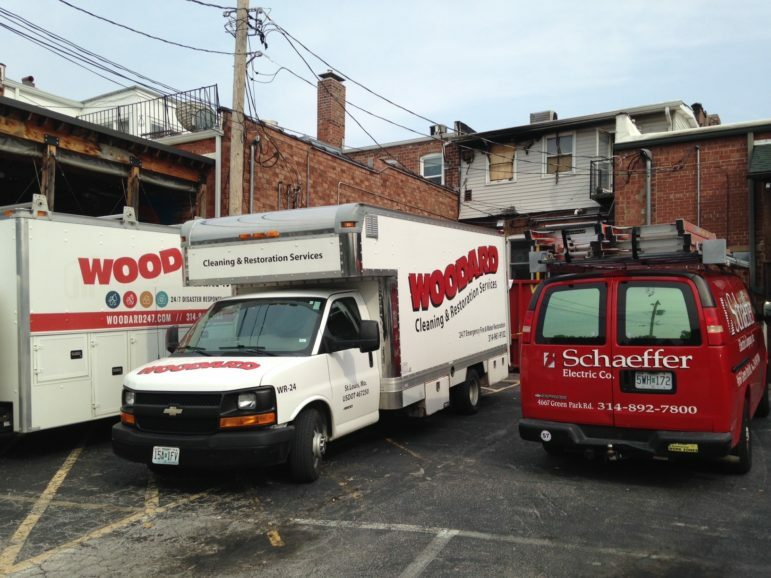 Crews were at work Wednesday beginning the cleanup after Monday’s fire in downtown Maplewood. Harmony Health and Healing (7342 Manchester, second floor) where the fire started was damaged the most, has a fund to help them renovate and reopen. 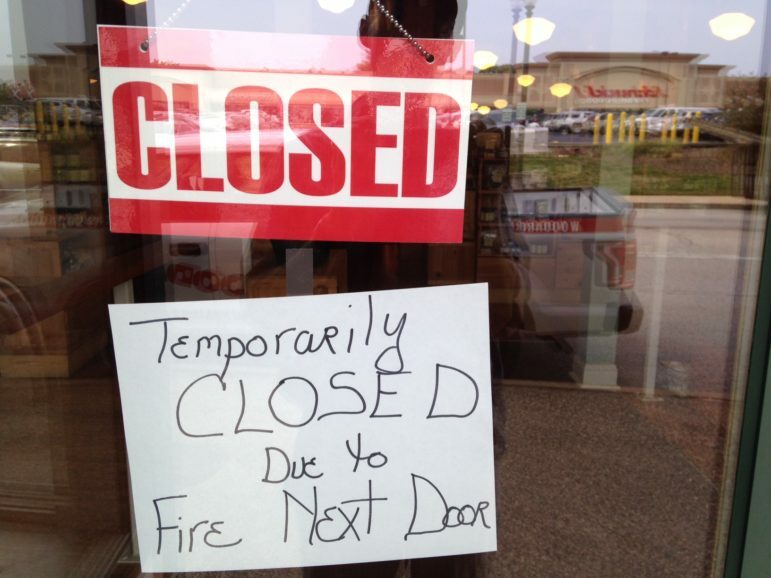 A Woodard employee said eight businesses were affected by the smoke. Penzeys Spices is closed temporarily. Most of the others had smoke damage and are open or will open soon. Crews were parked in the lot behind the damaged businesses. 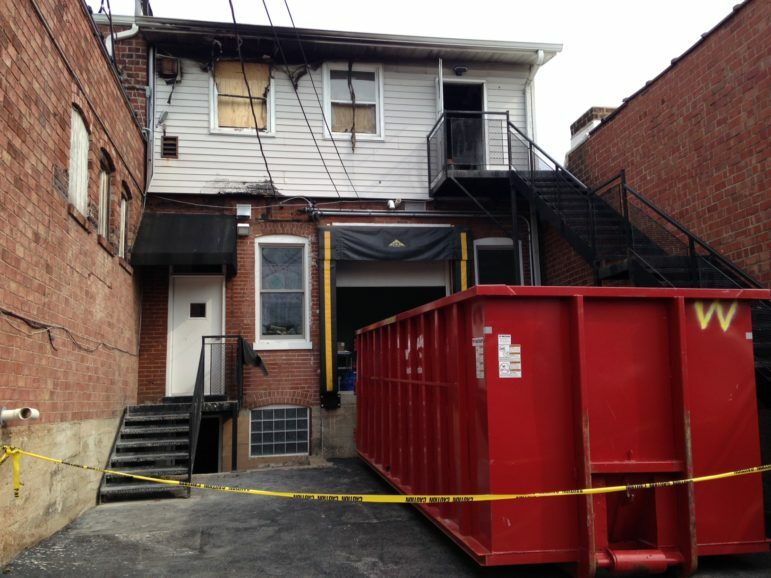 Health, Harmony and Healing – second floor – was where the fire began. Penzeys Spices is closed temporarily. 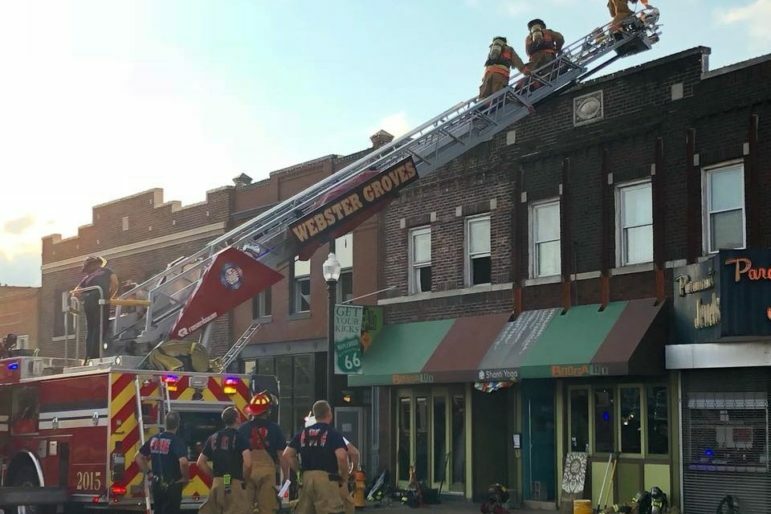 Fire by @boogaloostl Hopefully no one is hurt and there isn’t too much property damage.